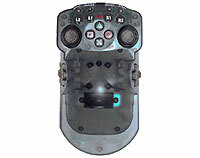 Some of the controllers below have been designed for use with Playstation One and PS2 game consoles. 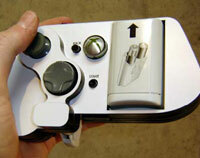 With additional controller adapters, most other games machines, PCs and Macs can be made accessible. Click on the images below for more details on each controller. 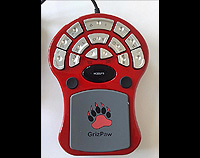 For help tracking down or building your own One Handed Controllers for Xbox, Playstation and PC see this OneSwitch Blog post. Please feel free to e-mail for help on anything that is unclear. 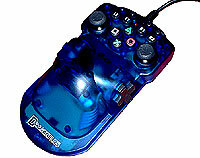 Suitable for left and right handed play, and designed for the Playstation 2. Use with newer machines with additional adapters. Read a review at Accessible GameBase. 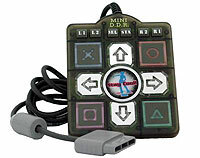 A Playstaiton 2 digital controller with 14 buttons and 2 digital thumb-sticks. Quote "OneSwitch2015" for a $10 discount. Designed for use with the Playstation One console, this controller is well suited to many older games that do not require analogue control. Some button functions can be changed, making play easier. Ideal for Dancing games, and also usable with most Playstation One games. LEDs illuminate when the direction buttons are pressed. Suitable for left or right handed play. 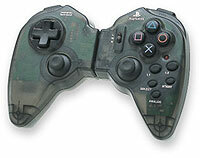 Compatible with many but not all Playstation 2 games with a switchable thumb-stick. 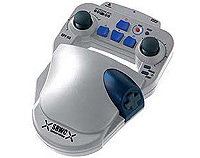 A unique controller that can be used in three different ways: traditional, separated and one handed. Playstation One and PS2 compatible. A well built controller from HORI that is best for left hand play, but can be used by right handed gamers too. Playstation one and PS2 compatible. The Ben Heckendorm designed "Access Controller". Wireless with interchangable control pods. Compatible with PS3, PS2 and PCs. Read a review at Game Forward. Second hand wanted by OneSwitch for repair. Highly suitable for left or right handed play. Compatible with Playstation 2 games. This controller also features a small RESET button. 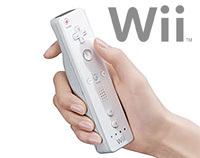 Nintendo Wii with Wii-mote motion tracking one handed controller. Can be made lighter via a simple adaptation. N.B.Robert Merritt has posted a list of games that are one-hand compatible. Nintendo Wii remote controller with switch interface for the A button and B trigger and wrist straps. 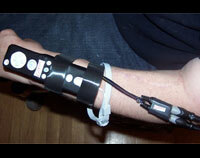 One hand controller designed to be used with the PS3-SAP module. Presently at prototype stage, but can be purchsed for around £610. 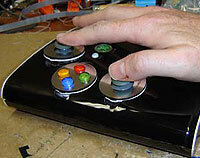 A USB PC one handed controller that can be reconfigured using the likes of JoyToKey. 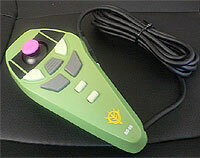 Designed for Gundam Online games but can be used for all kinds of things. Would require a Titan One to be used on game consoles. More help in finding and purchasing one can be found at this OneSwitch Blog post. 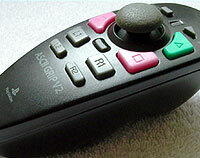 There are a number of people and organisations that may be able to build you a tailor made controller at a price. One Hand Gaming News - Via the OneSwitch.org.uk Blog. 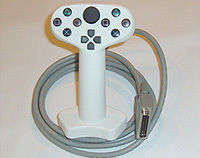 Controller Adapters - Enabling Playstation controllers to be used on alternative games consoles and computers. Remapping of controls is possible. Accessible GameBase One Handed forums - Direct link to a one-handed gamers forum. See also the Game-Accessibility.com forum. One Handed Games List - for multiple game platforms.